6.49mm x 20.46mm / 0.256in. x 0.806in. 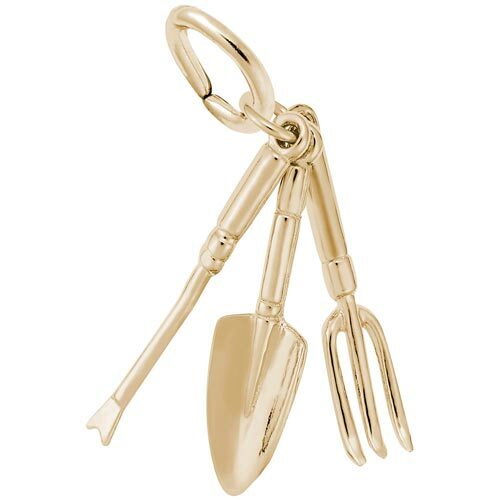 3 Dimensional Gardening Tools Charm. Three charms are joined together on one O-ring.